GroupMail version v5.3.0.146 is now available to download from the GroupMail Customers Area. This release includes a number of new email templates for both Easter and St. Patrick’s Day. We’ve also made a major update to our SMTP component to enhance the reliability and functionality of sending and to provide better SSL Protocol handling. 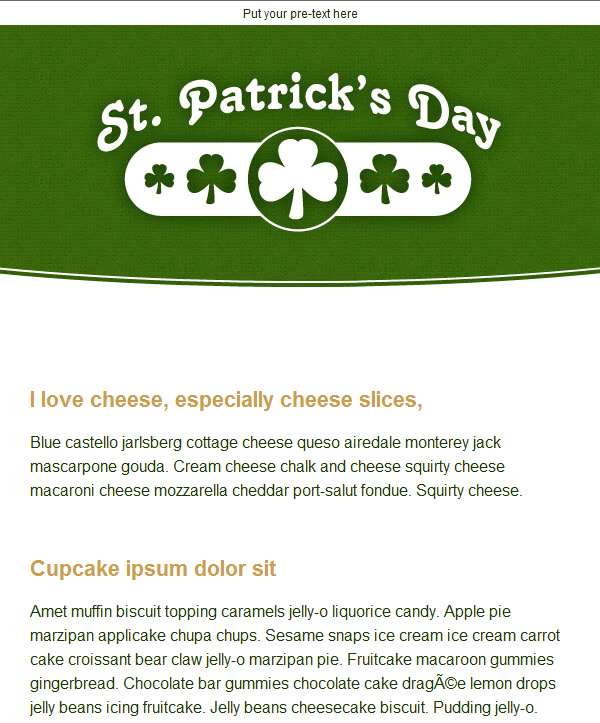 New: 6 HTML Email Templates added for Easter and St. Patrick’s Day. New: Updated SMTP component with improved SSL Protocol handling and reliability. Update: Tweaker now supports to split Full Name into Middle Name. Update: Some templates’ mailto links have been incorrectly created as normal hyperlinks.